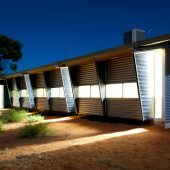 The Design Construct Program at the University of South Australia was engaged by the Department of Families and Communities to design and construct Single Men’s Housing for the Mimili Aboriginal Community. This project involved staff and students in lengthy community consultation from which evolved a design proposal that gained Development Approval in 2008. 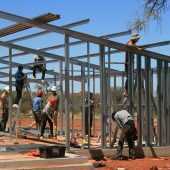 Prefabrication of the project followed requiring a total of 16 intensive two week prefabrication elective courses each involving up to 25 students. 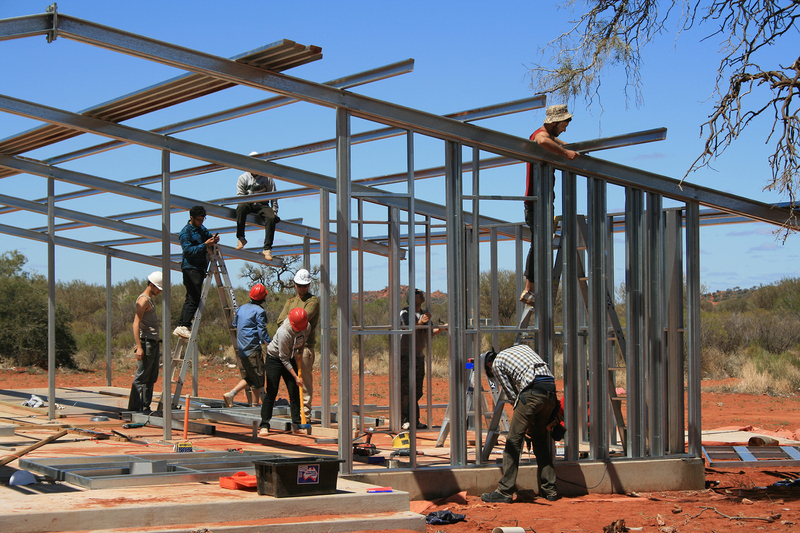 In 2009, the first of six intensive site construction elective courses began, each involving as many as 40 students who worked with the Mimili Community to complete the project. In all, the project involved about 500 students many of whom enrolled in more than one of the several courses offered. groups, so they could learn men’s business and prepare for their important cultural role as men. 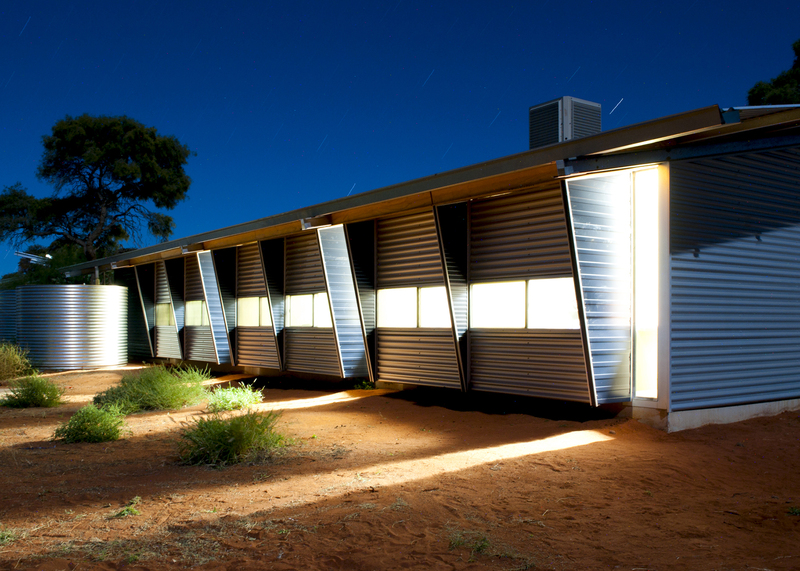 This tradition was not being accommodated by conventional housing in Aboriginal communities.